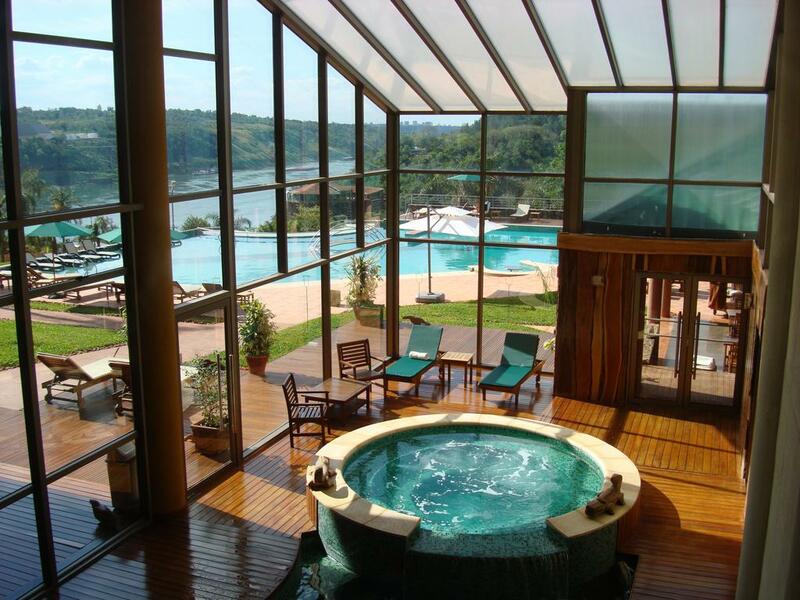 This hotel’s location is to die for: perched on the tip of Argentinian Iguazú, at the confluence of the Iguazú and Parana rivers. Just a stone’s throw away are two other countries, Brazil and Paraguay. 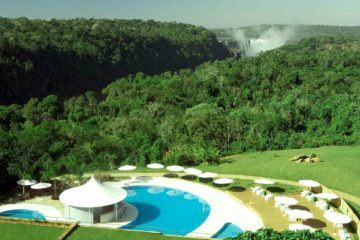 But even this doesn’t compare to the fact that it is located just a short drive away from the Iguazú National Park, the UNESCO World Heritage Centre and famous natural wonder of the world. 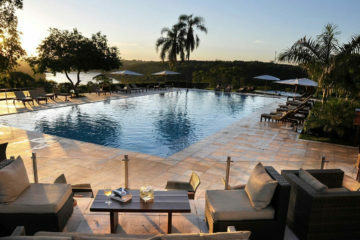 Sunset from the hotel’s roof viewing platform is an Instagrammer’s dream, rivalled only by hanging out at the pool and sun deck overlooking the river. The whole property had a somewhat retro ambience – what you’d expect from a traditional rainforest resort – and the buffet breakfast and dinner took us back to the vacations of our childhoods. It wasn’t a gastronomic highlight of our trip to Argentina, but nonetheless charming. Our suite on the fourth floor was the largest in the house – well appointed and recently modernised. The view from the suite matched that of the rooftoop. So kicking back and reading a book on the balcony and toasting the day with a glass of wine after exploring the falls was simply and utterly heavenly.